This adorable Hollywood Bungalow built in 1928 is getting a full restoration and renovation. This little gem was in dire need. 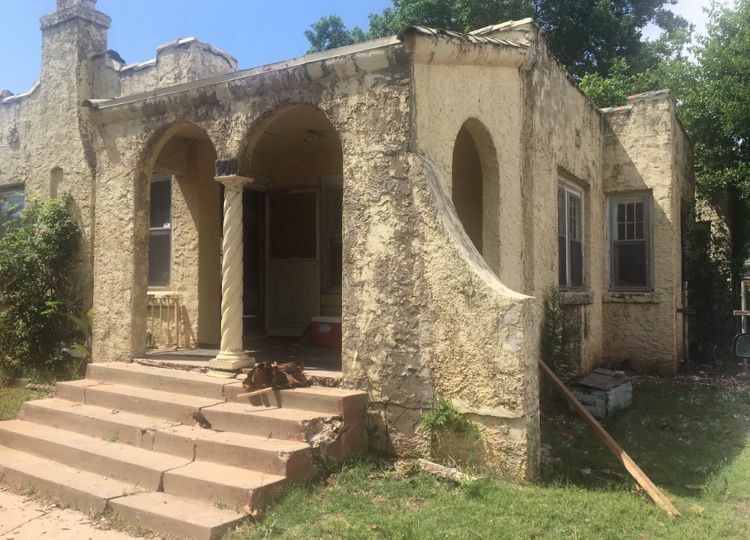 It will include new roof, new windows, new HVAC, new electric service, new water line, new stucco finish, structural repairs, new concrete, new kitchen, new bathroom, new plumbing. All of the original wood features will be restored along with the wood floors. Located in Lincoln Terrace & Medical District. Walk to the little plaza, to OU Medical, eateries, and more. This is a very up and coming neighborhood with many historic properties. Garage slab will be poured with plans for a small detached apartment. Inquire regarding price if garage is to be finished.